AMD today announced the pre-order availability of their 2nd Gen AMD Ryzen Threadripper Desktop Processor. Their initial benches include some world breaking records via Cinebench R15. 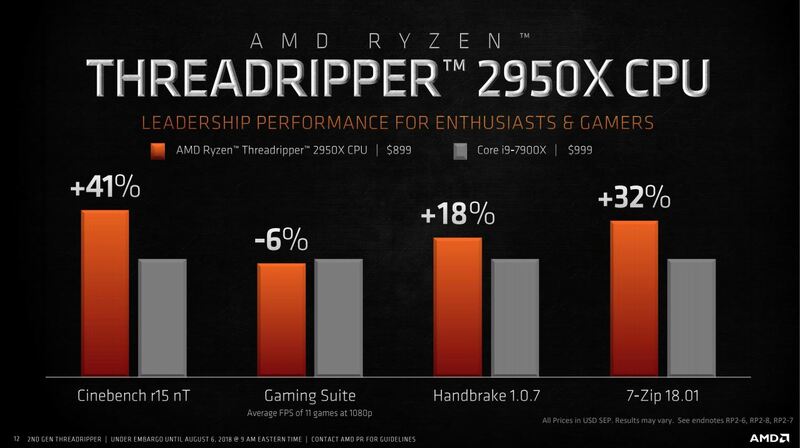 The 32-core, 64-thread 2nd Gen AMD Ryzen Threadripper 2990WX are claimed to be designed for professional content creators, developers, and PC enthusiasts. The 2nd Gen line-up is said to have four total models coming later this year, with all being built on the 12nm “Zen+”core architecture. Along with this, they announce the compatibility on the new X399 motherboards. 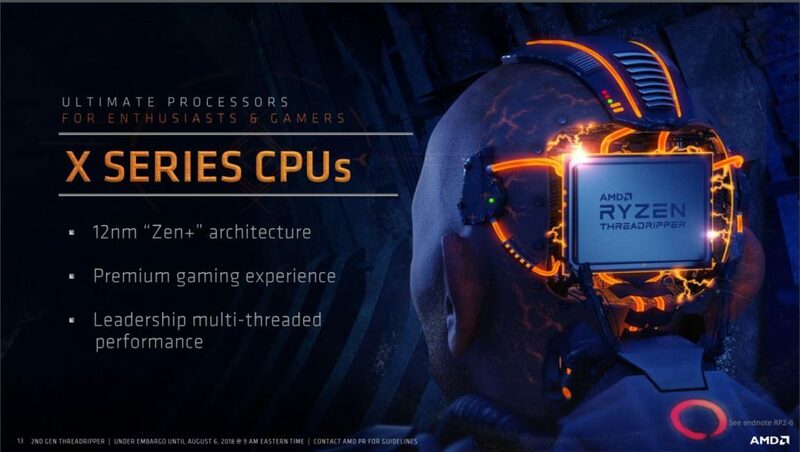 Following an aggressive 2018 rollout of global award-winning Ryzen mainstream desktop processors, the 2nd Gen AMD Ryzen Threadripper processor line-up is tailored to the needs of creators and gamers. 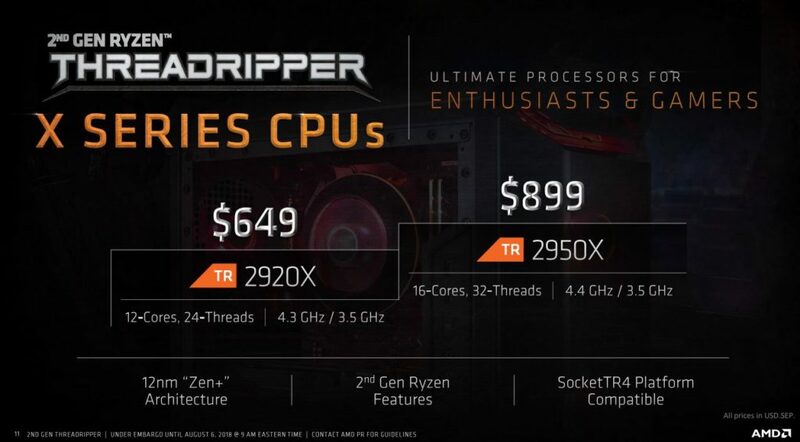 All 2nd Gen AMD Ryzen Threadripper processors support the SocketTR4 platform, sporting sixty-four PCIe® Gen 3.0 lanes, and quad channel DDR4 memory with ECC support.All 2nd Gen AMD Ryzen Threadripper CPUs are supported by a full ecosystem of new and existing X399 platforms at launch, with designs already available from top motherboard manufacturers including ASRock, ASUS, Gigabyte, and MSI. Along with the broad selection of motherboards, the SocketTR4 platform supports a wide range of new and existing cooling solutions, including the new Wraith Ripper air-cooler showcased at Computex 2018. This cooler is now available from CoolerMaster and features compatibility with the SocketTR4 platform and all 1st Gen and 2nd Gen Ryzen Threadripper processors. AMD Ryzen Threadripper 2950X CPU is expected to launch on Aug.31, 2018 and the AMD Ryzen Threadripper 2970WX and 2920X models are slated for launch in October 2018.